Since she was seen for the first time at Summer WonFes 2010 (in full-color!! 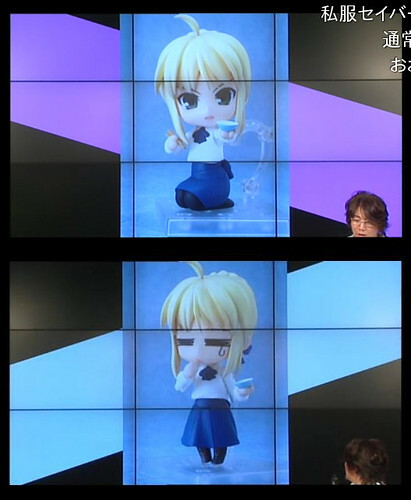 ), Nendoroid Saber: Casual Clothes version had been missing from both WonFes and other figure-related events. A few of us may even have thought that she was going to be cancelled. 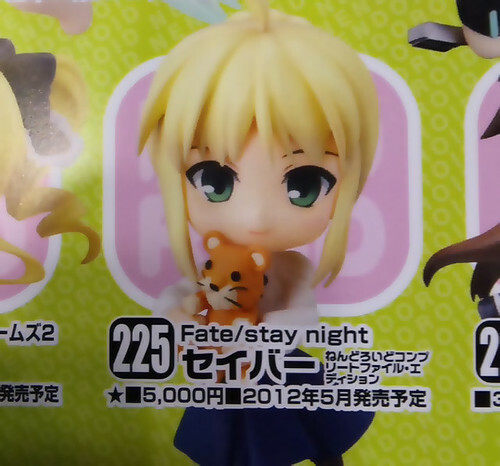 This entry was posted in News and tagged fate stay night, nendoroid, saber, super movable, type-moon. Her last SME(?) was 4000 yens, it comes with 3 expressions, 3 swords and 4 hands. I think the price is a little bit expensive just because it have a “sitting pose”. 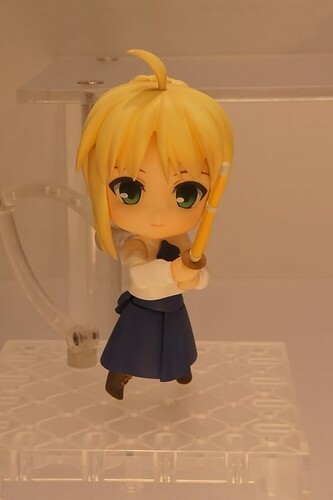 I love Saber, but it is expensive for what it is ! Don’t think I am going to take it ! Do not want if the price is 5000 Yen. Snow Miku 2012 is more worth it.